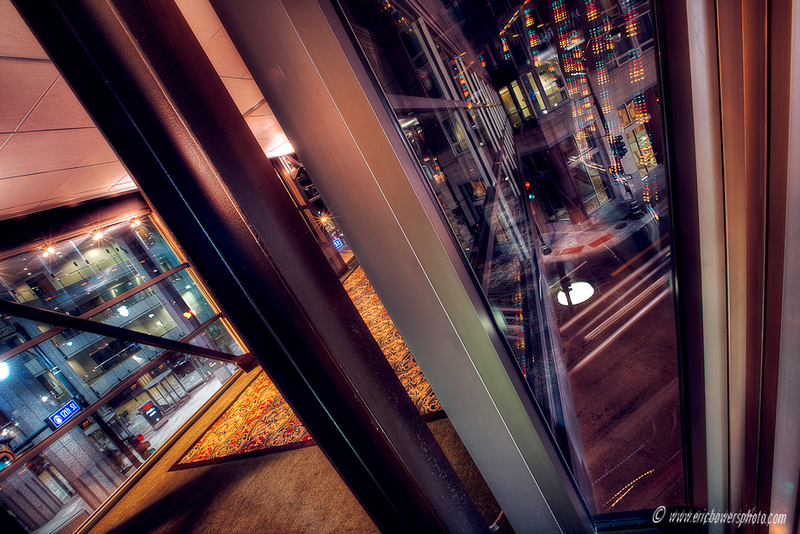 Ending my set of pics I took Saturday night from the downtown skywalk. Getting situated to show angles and lines in this kind of way is one of the most fun things in photography for me. The US Bank building is through the windows at the left, with the south exterior glass of the skywalk visible from where I was standing in an “outcrop” of the structure, with Wyandotte Street and the Muehlebach Hotel viewable on the right. – Downtown Kansas City, MO, at about 12 am Saturday night/Sunday morning.